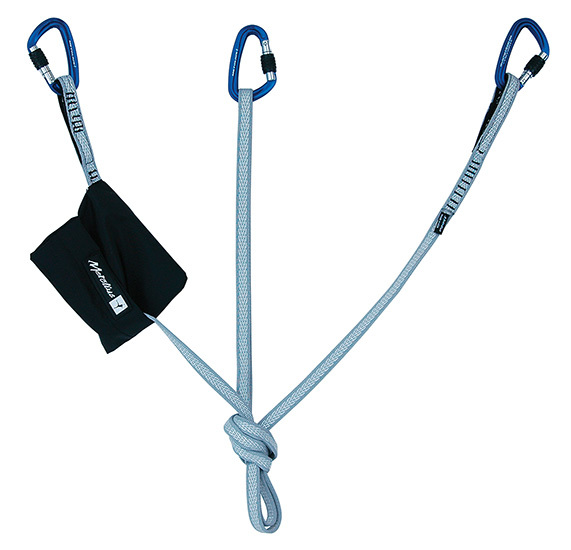 The Equalizer is available in two lengths, and is made of 16 mm Monster webbing. Each size has a built-in storage pocket with instructions printed on the outside for fool-proof anchors. The Equalizer is made with reinforced end-loops to provide additional, full-strength clip-in points.